Honey Stinger is proud to announce will kick off the summer of 2014 with three new products. We will expand the popular Organic Stinger Waffle line with a new Gingersnap flavor and the certified gluten free Organic Energy Gel line will now contain two caffeinated options, Chocolate and Strawberry Kiwi. These three new products will hit stores in the coming weeks and will available for purchase online at www.honeystinger.com on Wednesday, May 28. 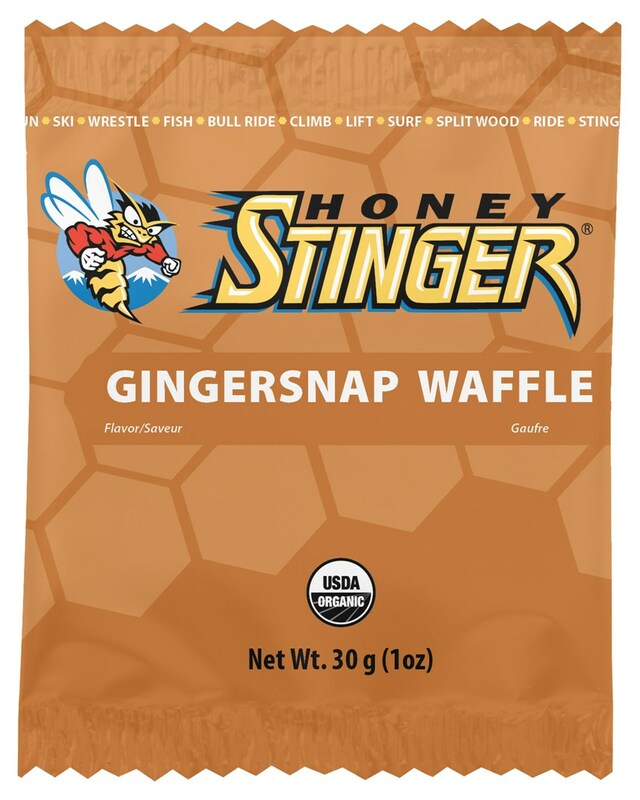 Honey Stinger Organic Gingersnap Stinger Waffles will be sold in boxes of 16 individually wrapped waffles. Each waffle is 160 calories and contains no artificial flavors, colors, preservatives, high fructose corn syrup or trans fats. A box of 16 waffles will retail for $22.24 and retailers have the option to sell waffles packaged for individual sale at $1.39. Chocolate and Strawberry Kiwi Caffeinated Energy Gels will be sold in boxes of 24 and will retail for $33.36. Individual gel packets can be purchased for $1.39. Each gel will contain 32 milligrams of caffeine derived from green tea. This entry was posted in Uncategorized and tagged Company News, New Products. Bookmark the permalink. Check out the new line-up! sorry, we no longer make a non-caffeinated Chocolate gel.